DESICO is developing a platform that will allow users to easily launch ICOs for security tokens. The platform will benefit both the companies issuing ICOs and their investors by offering scrupulous legal compliance, marketing services, and a built-in exchange. DESICO is also releasing its own cryptocurrency which will be required to list an ICO on the platform and entitle owners to several privileges such as access to pre-ICO sales. 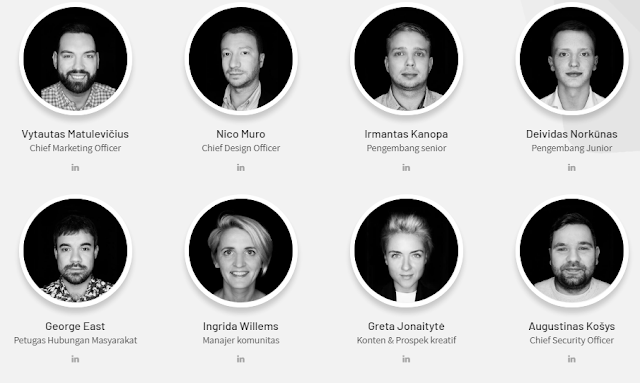 DESICO currently employs at least seventeen developers and five advisors. 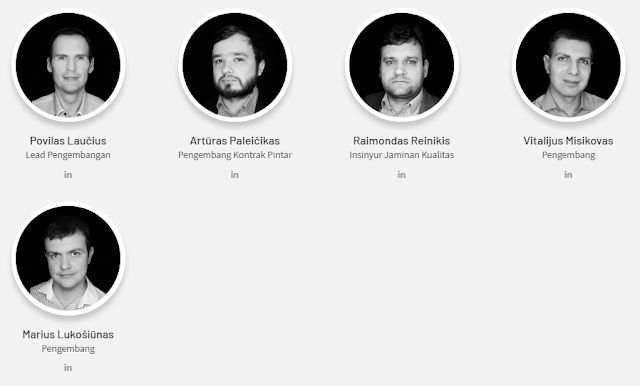 Much of the development team has already worked together on FinBee.com, a peer-to-peer lending platform, and Draugas.It, Lithuania's most popular social media site. DESICO is based in Lithuania, largely due to that country's relaxed laws regarding ICOs and blockchain tech companies, and a cornerstone of its business model is that it will be in full compliance with all of the European Union's financial regulations. 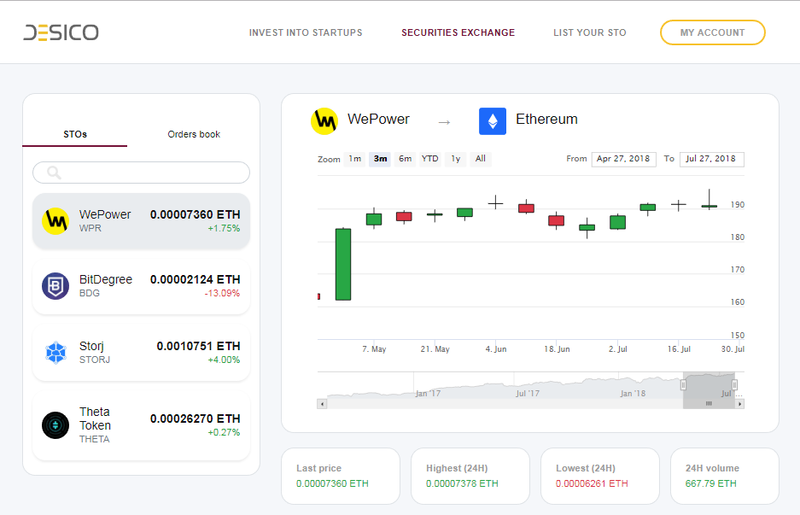 However, the developers don't mention expansion to other markets, and it's not yet clear which countries' citizens will be served upon the platform's release. DESICO has very little presence on social media, with fewer than a dozen followers on both its Twitter and Facebook pages, and its platform has been covered only by a few websites devoted to ICO information. 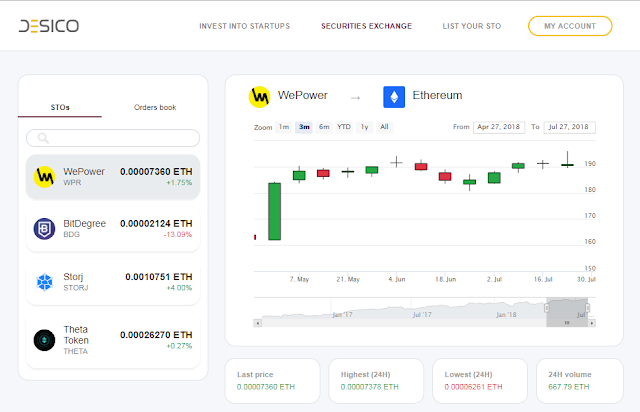 However, the project is still early along in its roadmap at time of writing and it has not yet begun any marketing campaigns; the project will likely gain much more attention as its ICO approaches and its platform nears completion. Crowdfunding DESICO will operate globally based on the EU platform offering a completely customized way for businesses to issue ICOS, and for token shoppers to acquire and trade these tokens. DESICO exchange will operate a fully regulated exchange. This will provide a security token with liquidity soon after the successful completion of ICO on the DESICO platform. DESICO users will be able to manage ownership of crypto and fiat in the platform. They will also have the opportunity to exchange their cryptocurrency into the fiat currency in exchange for DESICO. DESICO will operate fully in current securities and law crowdfunding Republic of Lithuania, European Union and member countries of the European Zone. 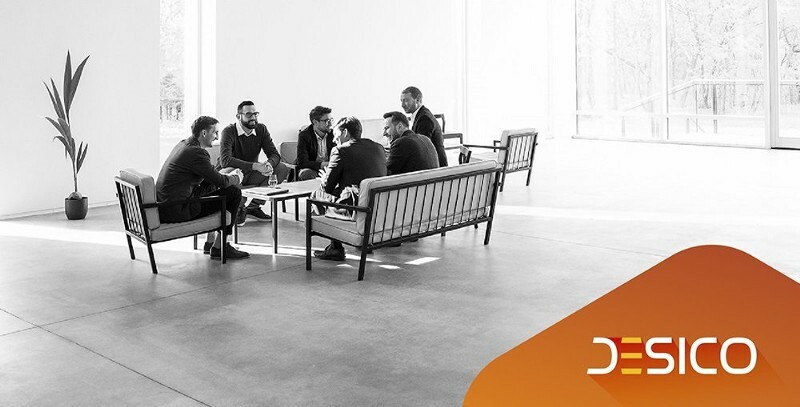 DESICO Community Community will consist of publishers of security tokens, investors and crypto fans, and ICO-related service providers. DESICO's primary offerings are a crowdfunding platform that makes it easy to create and invest in ICOs, and a built-in exchange where tokens can be traded after their release. DESICO notes that its platform is devoted to security tokens, which entitle owners to a share of a business; these sorts of tokens are different from straightforward cryptocurrencies like Bitcoins or utility tokens specific to a platform, and they are subject to much stricter regulations. DESICO hopes to help both startup companies and investors navigate this legal environment and ultimately disrupt the venture capital industry. DESICO's platform will offer investors peace of mind; they can rest assured that all of the ICOs listed on the site are legitimate, reputable, and fully legal. Another significant advantage of the platform is that investors will be able to verify their identity just once, and then use this verification to participate in any of the site's ICOs. All of the tokens released through DESICO will be immediately listed on the site's exchange platform following their ICO. This addresses a problem common to many ICOs: tokens often lose value after their release because they are not promptly listed on any exchange, leading to a loss of interest and thus demand. 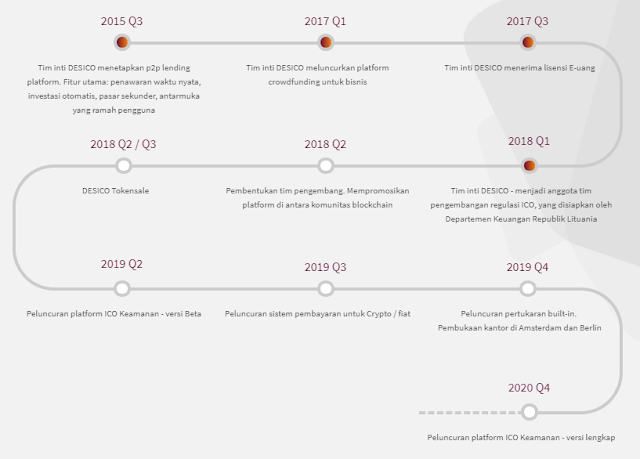 DESICO's platform is still far from its release: a beta version of the platform is scheduled for a release in the second quarter of 2019, with the exchange arriving at the end of that year, and the first full version of the platform coming in the fourth quarter of 2020. A total of 804 million DESICO tokens will be created, 410 of which will be sold to the public. The remaining 49% of tokens will be divided between the development team, a reserve fund, and a bounty program. Oddly, details about the dates and pricing for the ICO are nowhere to be found on DESICO's website, social media pages, or whitepaper. A third-party website – whose accuracy cannot be readily verified – reports that the sale will run from May 21st to August 19th 2018, with tokens selling for the equivalent of 0.095 Euros. The sale has a soft cap of just over $3.6 million U.S. dollars. The DESICO token is an ERC-20 currency, and the ICO will accept only Ethereum. Though the platform it funds is devoted to security tokens, the DESICO token itself is a utility token which entitles owners to privileges and services within the platform. Companies hoping to list their ICO on the site will need to pay for this with DESICO tokens, and investors who own it will be exempt from many of the platform's fees and allowed to access pre-ICO sales. DESICO will use 32% of the funds raised for platform development, including the development of ICO launch infrastructure, platform interface, exchange operations, etc. DESICO will strive to promote its platform globally, so that 20% of funds will be allocated for marketing. If DESICO can offer the full legal compliance for security tokens that it claims, it could become an important platform for startup companies seeking capital and threaten the traditional venture capital system. However, the company will face an uphill battle as it begins to look internationally; few countries are as friendly to ICOs as Lithuania, and laws regarding this technology are changing rapidly. It's too early to tell whether the DESICO token will be a strong investment; the company presents a strong idea, but both its technical and legal goals are very ambitious, and the product won't be released until long after the end of the ICO.